This sculpture named Saxon Steed (Sachsenross) shows the emblem of Lower Saxony (Niedersachsen) It was created in 1866 by the sculptor Friedrich Wilhelm Wolff. 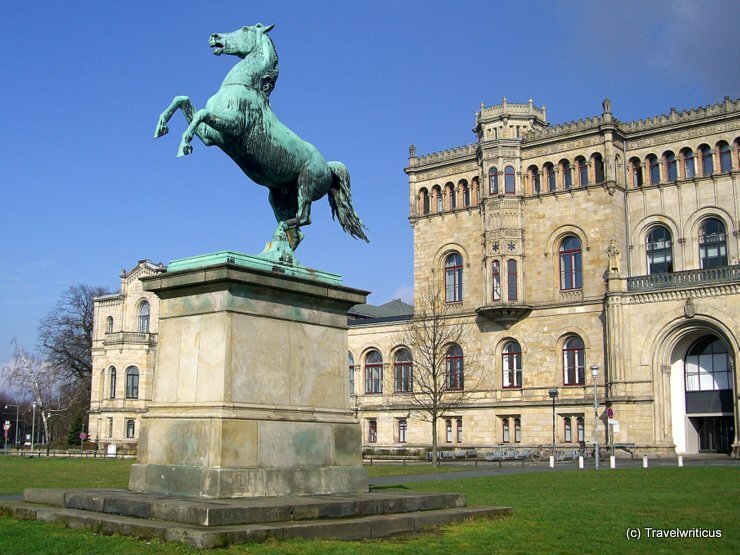 Today it is situated in front of the Leibniz Universität Hannover, the former Welfenschloss. This entry was posted in Coat of arms, Sculptures and tagged Germany, Hanover, Lower Saxony by Travelwriticus. Bookmark the permalink.